1. When training outdoor shoes must not be worn in the Dojo only kung-fu shoes or zoris are allowed. 2. No student should leave the mat with bare feet. 3. Finger nails and toe nails should be clean and cut. 4. All rings, and earings, chains etc should be removed or covered before training. 5. Ghis or clothing must be clean and ironed. 7. No drinking or alcohol, or drugs to be taken before or during training. 8. No smoking or eating or drinking in the Dojo. 9. It is advisable not to eat or drink for at least one and a half hours before training. 10. No swearing once inside the Dojo. 11. The Sensei's or instructor's command must be obeyed at all times. 12. 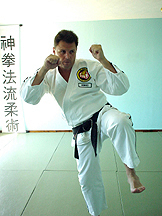 No member will teach or show his or her knowledge of Ju-Jitsu in or outside of the Dojo. 13. 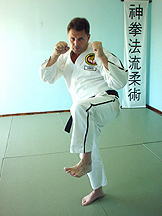 No member will abuse or misuse his or her knowledge of Ju-Jitsu. 14. 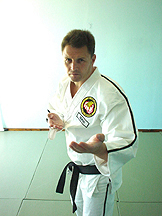 If you have not trained in the club for over three months when you return you will be down graded to orange belt until you obtain your previous standard. 15. All students are responsible for your insurance and licence renewal annually. 16. If you disobey any of the rules and regulations you can be expelled from the association Z.K.R.J.J.A & T.B.K.J.J.F. 1. Bow when you enter the Dojo. 2. Bow as you step onto the mat. 3. Bow to the Sensei or instructor and ask permission if you want to leave the mat. 4. Bow as you leave the mat. 5. Bow to your partner after each practise session. 6. When joining the class you must ask the Sensei's permission. 7. When arriving late wait on the side of the mat until the Sensei's permission is given. 8. Students must not talk during instruction. 9. 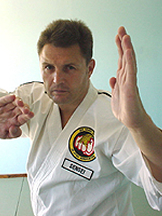 If a student is injured this must be reported to the Sensei and the student should train at the back of the class. 10. If a student is injured or bleeding, take the student to the side of the mat and inform the Sensei.